Kiko rewards program: you need this app! Is a Kiko store your wallet’s kryptonite? Do you have any staples in your stash that bear the Kiko logo? Do you find yourself entering the store just to check what new products have been launched? If you replied affirmatively to one of the questions (or all of them!) 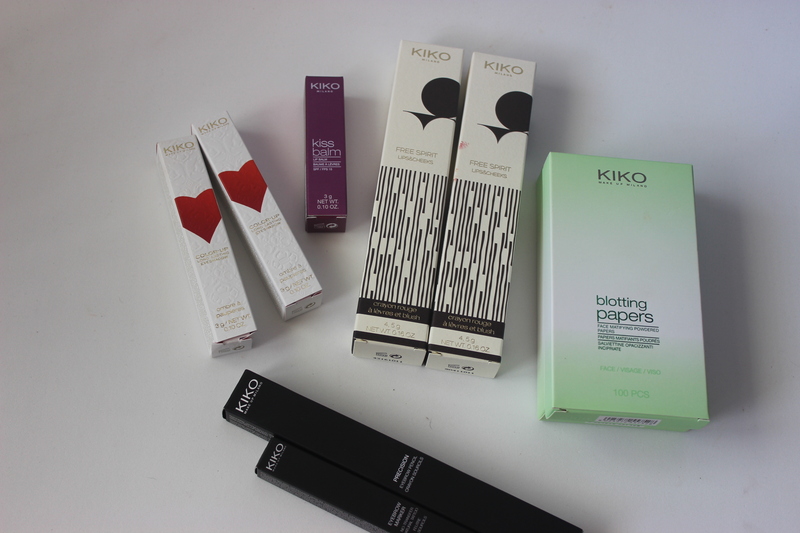 then you will be as excited as I am about their new Kiko Rewards system! How does it work you say. Well it could not be easier! You simply download their app, Kiko Rewards, and introduce your details. Once it has been installed, you will be greeted with 200 bonus points on your “card” as a welcome present. 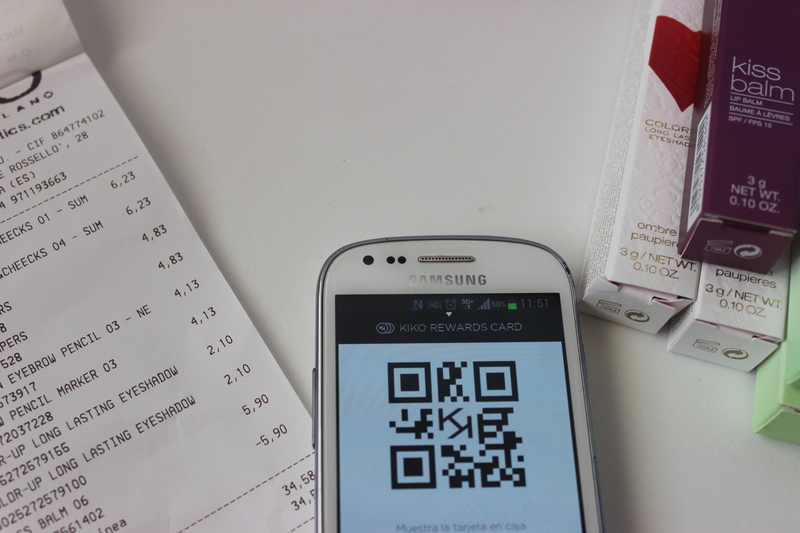 When you visit a store you simply show them the bidi code and they will scan it. And ta dah! That is all you need to do. I know that it can also be used when you shop online but as I have a store in town I simply do not use that method. Also, as an extra welcome gift, on your first purchase you will have a 10% discount on your selected items. Is that all you say? No! As they are just launching this reward system, I received an email saying that until May 10th the discount on your first purchase is a 30%. So of course, lover of special deals that I am, I had to take advantage of this special offer and I visited Kiko this morning. I bought some staples like blotting papers and an eyebrow pencil and I also picked up the eyebrow marker to try it and two of their new lips and cheeks pencils. At Kiko you always have past collection items with discounted prices so I picked up two pencil eyeshadows from the autumn collection in shades that I did not have. And guess what? The 30% was also applied to this discounted items! I got the pencil eyeshadows for 2,10€ each (original price 7,90€) which is a ridiculously low price! So appart from the initial discount, what do you get? 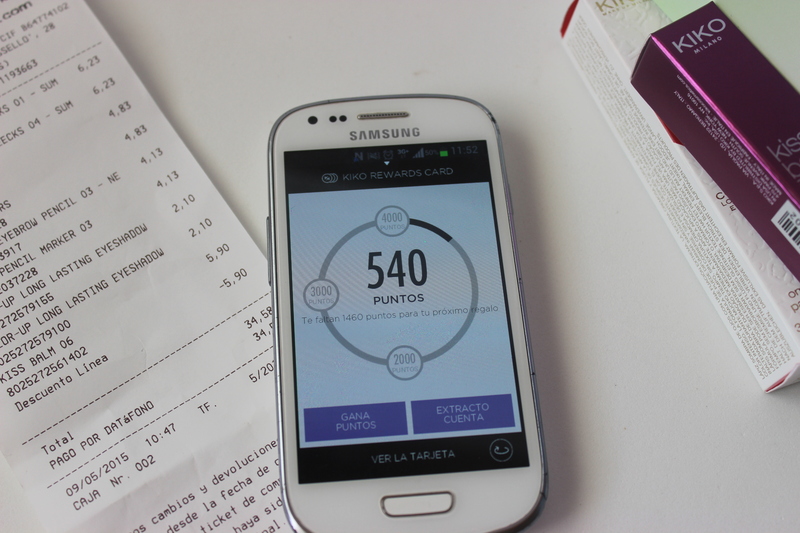 You accumulate points with each purchase (1 euro = 10 points) and when you reach a certain amount you get a money voucher. When you reach 2000 points you get 10€, 20€ when you reach 3000 points and 30€ when you reach 4000 points. My conclusion? You need to get this app and take advantage of that 30% on your first purchase before it is gone! You are welcome! Check out if it has already been launched in your country, and if it has, enjoy!!! It is a very easy way to gain the loyalty of your customers, right? Who knows, maybe this app trend will catch on, we can only hope!